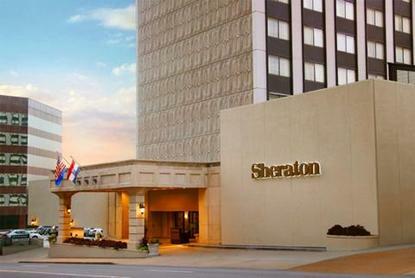 Welcome to the Sheraton Clayton Plaza Hotel St. Louis. Located in bustling downtown Clayton, our hotel is in the heart of a sophisticated and safe suburban community. We are just minutes away from several Forbes & Fortune 500 business headquarters, restaurants, art galleries, specialty boutiques, and shops. We are also convenient to the Arch, St. Louis Cardinals Baseball Stadium, Forest Park, St. Louis Zoo, and local businesses.Meeting planners will appreciate our 18,000 square feet of meeting space. And all guests will love our full-service attention, 24-hour on-site fitness center, hair salon, whirlpool, indoor heated pool, and outdoor sun deck.No matter what brings you to St. Louis, Clayton's unique combination of urban flair and a quiet community will continue to bring you back.